Nice piece. 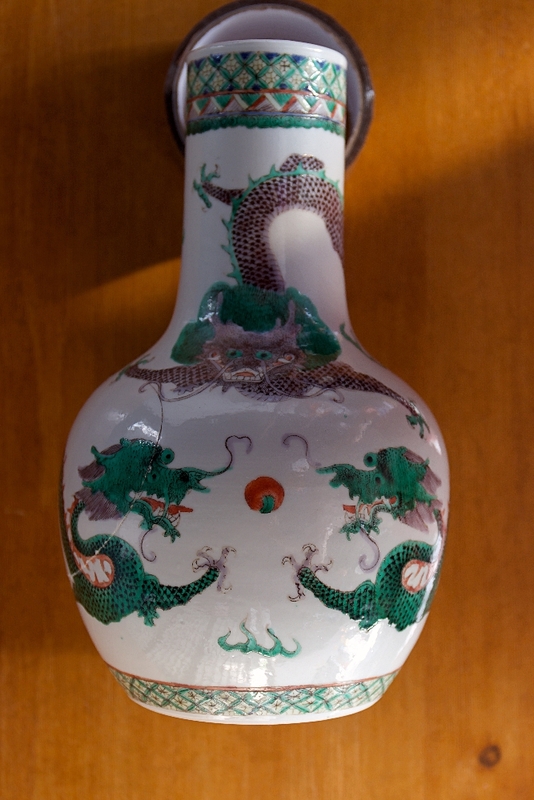 Ming Mark But Qing dynasty. Nicely drawn dragons. If you want an estimate on the value let me know. 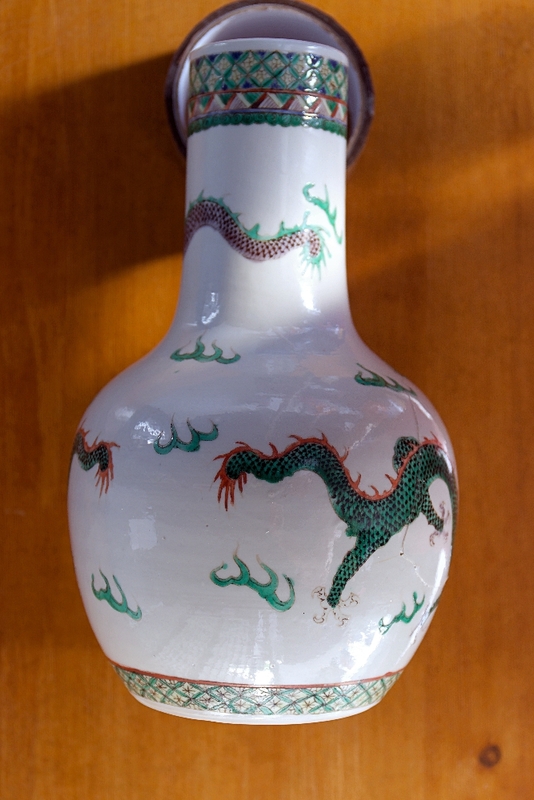 This vase has a type of dragon with "crosshatch & dot" scales, that are associated almost exclusively with Chinese dragon porcelains painted after 1850. The six-character Ming Jiajing reign mark is written in a style I could find only in association with reproductions made during the Qing Kangxi period; however, the only Kangxi-era example I could find was enclosed in blue double circles. Also, compared to the neatly written Kangxi example, the mark seen here seems to have been rather laboriously drawn, with mid-stroke brush starts and restarts evident in some characters, giving an overall unsteady look to the calligraphy. This issue and the artificial, repetitive appearance of the brown "flaws" in the white glaze on the foot give me pause to wonder whether the base could have been restored and remarked at some point, perhaps to hide a drill-hole from prior use as a lamp. Hi Bill, thanks, here’s a photo of the inside if it helps you in any way. Also if it helps, from a purely physical touch perspective, the glaze feels in-keeping with the rest of the glaze. 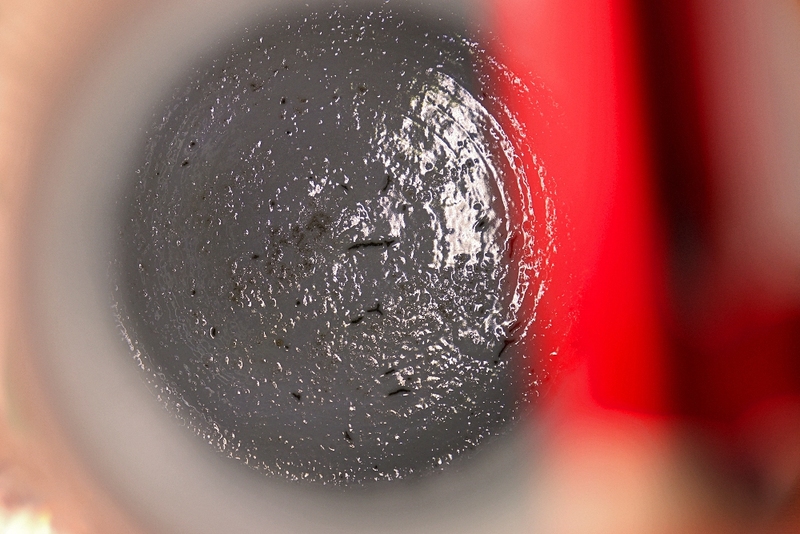 The new photo shows no evidence inside the vase to support my drill-hole theory, suggesting observations regarding the base could just relate to the particular glaze and/or kiln temperatures. I suppose some distortion evident in the mark also could be due to shrinkage or crawl in the glaze.